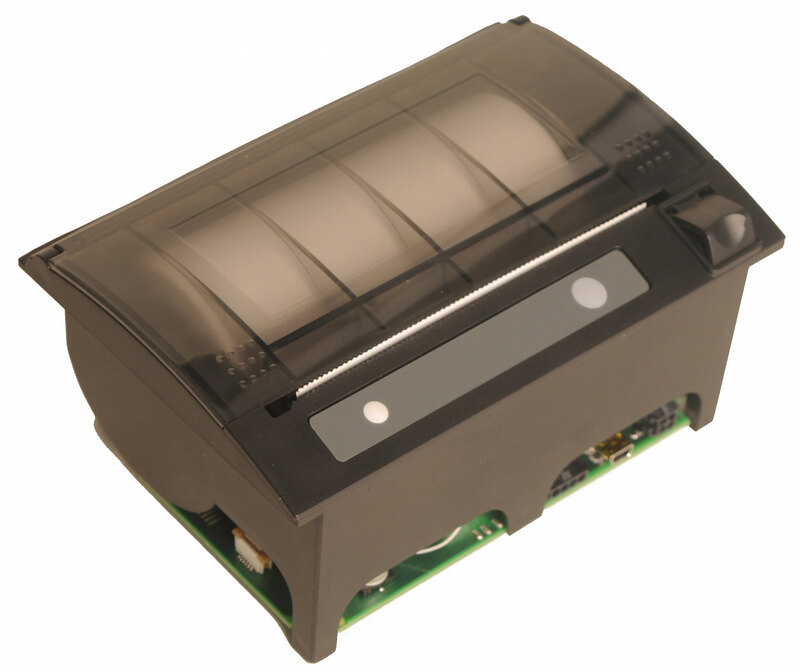 The MPP4000 Series, with a 4 inch print width is the largest model from the latest range of Martel printers, comprising 58, 80 & 112mm thermal panel mount printers with a fixed head “Easy open” paper feature. Designed for maximum versatility, the MPP4000 Series are capable of many different modes of operation. Numerous international character sets and barcodes are selectable and the printers have RS232 and USB serial interfaces as standard. They have flash upgrade capability providing a flexible method of remotely updating the printer firmware for new customer requirements. The unique, integrated MARTEL-Drive technology firmware can also be updated without the need of any PC or controller by simply transferring the required update file to the memory card, inserting into the printer, and rebooting to update. Power supply options include 5-8Vdc as standard or an optional 10-35Vdc supply giving fast, high resolution printing whilst a low current options also available for both. In common with other devices from this manufacturer, these printers can be customised or branded to exactly match your requirements. Please contact us to discuss your specification. Depth behind panel does not account for electrical connectors. Please order a printer for physical evaluation before committing to your final panel design. These 4 inch panel mounted printers are ideal for portable graphics printing. The data card option (MPL4000 series) is ideal for idustrial/scientific data logging or security applications.